Kirby's Super Star was the final Kirby game released on the SNES console and featured over 6 unique games on one cartridge! Each of the games have their own unique gameplay, so let's find out what we think about this fun title! Gameplay: The gameplay in Super Star was revolutionary at the time as Kirby now had many new abilities to copy as well as much more advanced techniques to use in each form! The game also has some very difficult moments unlike earlier games in the series and also has some fun multiplayer to enjoy! 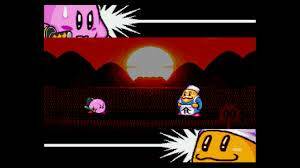 Spring Breeze: The easiest game in Kirby Super Star is Spring Breeze a game where you must try to obtain all of Dreamland's stolen food by facing King Dedede. Spring Breeze starts off easy and plays alot like Kirby's Adventure (NES), but there are many new abilities to copy which have much more complex moves than those in Kirby's Adventure (NES)! The game only has four levels and are fairly easy, with only the Dedede battle posing any sort of challenge. Overall Spring Breeze is a very fun mini title in Kirby's Super Star! Gormet Race: In Gormet Race you must race against King Dedede and not only try to beat him to the finish line, but you must also try to collect more food than he does as well! The game only features three courses as well as solo time trials for the three courses! Overall the game is okay, but could have been more fun. Gormet Race isn't too difficult either. Dyna Blade: Dyna Blade is similar to Kirby's Adventure (NES) much in the same way Spring Breeze is, however the game is far more difficult than Spring Breeze and some levels can be quite tricky! The levels in this game have branching paths through some hidden rooms which adds to the replayability of this game! Dyna Blade also features a bonus game at the end of each level in which you can earn extra points or even 1-ups! Overall the game is fun and fairly challenging! In The Great Cave Offensive you must fund as many treasures and artifacts as you can before you finish the game. The game's items are often cameos of other Nintendo titles such as the Triforce from The Legend of Zelda. This game has some tricky puzzles that must be solved to obtain the more valuable items. 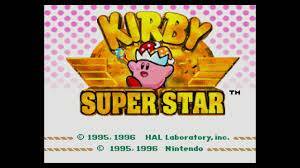 There are also an unbelievable amount of bosses in this game and the overall difficulty is very hard so you might want to play some of the easier games in Kirby's Super Star first before trying to tackle this one! Overall The Great Cave Offensive is one of the most fun games in Kirby's Super Star, however it's very challenging so you'll need get accustomed to the controls in Kirby's Super Star before taking on this game! Revenge of Metaknight: In Revenge of Metaknight you must escape the air fortress before time runs out as well as taking on Metaknight's army of soldiers! Believe me this is easier said than done, because there are so many enemies and strong bosses to face and the time-limit is very strict! 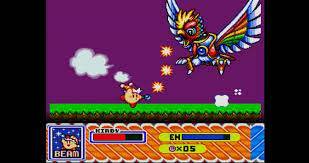 Overall Revenge of Metaknight is a hard, yet enjoyable game in Kirby's Super Star! Milkyway Wishes: In Milkyway Wishes kirby must travel the galaxy to save Dreamland and this game is much like Dyna Blade and Spring Breeze due to its similarities to Kirby's Adventure (NES), but Milkyway Wishes is easily the hardest non-secret game mode in the game and the levels are extremely complex for a Kirby title. You must beat every other non-secret game to unlock this one! Overall Milkyway Wishes is about as hard as you'll ever see a Kirby game get, but it is a fairly rewarding experience to beat this game! Other Modes: There is one other secret mode to unlock in this game as well as two fairly fun mini-games! 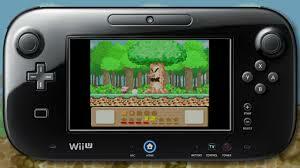 Wii U Features: The off-screen feature is really neat and makes you feel like you're playing on a handheld which can feel nostalgic to those who grew up mainly playing games on handheld devices! The Wii U enhanced save states feature is nice, but really unnecessary given how quickly you can beat a given game, the Wii version is just as effective in this aspect for this title. Graphics And Sounds: The graphics in Kirby's Super Star are vibrant and colorful and the characters and enemies are very detailed. The backgrounds in the levels look very impressive and the menues are simple yet look very nice. The music in the game isn't as good as you'd expect from a Kirby title, but it's certainly not bad by any means. Bottom-Line: With amazing gameplay several different unique games, and fantastic graphics Kirby's Super Star is a good game for your Wii U Virtual Console Collection, however a few awful copied enemy abilities and somewhat disappointing music make this title fall short of a perfect score, however we still recommend this title to anyone who is a fan of the series! Sorry to nit pick but wasn't Kirby Dream Land 3 the final SNES Kirby game? Great Review. This is probably my favorite Kirby game of all time. @KokorOtaku wrote: Sorry to nit pick but wasn't Kirby Dream Land 3 the final SNES Kirby game? Super Star was released a few months after Dreamland 3. I haven't seen you review a game in a while @Rukiafan. You did a fine job reviewing this game. Thank you all for your positive feedback! I know my thoughts aren't going to be popular, but this is my least favorite Kirby game.